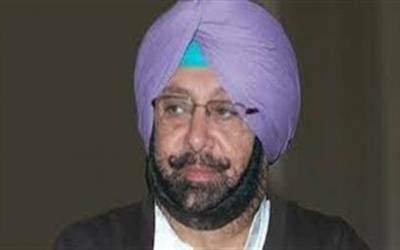 Amritsar, Jan 14 (IANS) Punjab Congress chief Captain Amarinder Singh on Saturday said cricketer-turned-politician Navjot Singh Sidhu was already a member of the Congress and will be contesting the assembly polls. "He (Navjot Singh Sidhu) is 100 per cent in the Congress, and as Navjot Kaur Sidhu had announced that he is a candidate from Amritsar East," he told media persons here. Sidhu’s wife Navjot Kaur Sidhu, who has already joined the Congress, had announced on Friday that he would join in a day or two. Sidhu met Congress Vice President Rahul Gandhi on Thursday to discuss his role and the date of his formal induction into the party. The Congress on Friday released the fourth list for Punjab assembly elections but Navjot Singh’s name was missing from the list. The Congress has so far released the names of 108 of the 117 candidates for the February 4 polls.